Bilene Beach offers an extensive stretch of white sandy beach. Tucked behind the beach is the wonderful 27 km long San Martin estuary, also known as Lagoa Uembje. 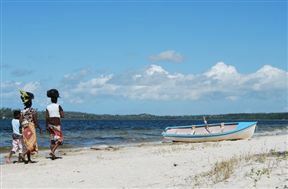 Bilene is the closest beach resort in Mozambique to Johannesburg, and attracts numerous South African visitors during the holiday season. 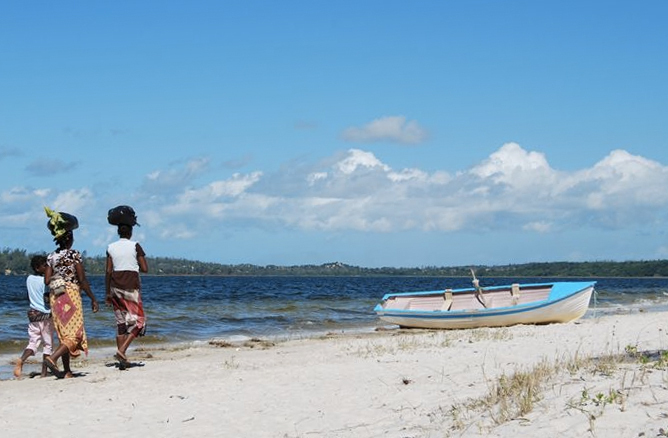 Although Bilene is an ideal Mozambique holiday destination on its own, it also serves as a good stop over point for travellers en route to Xai Xai, Inhambane and the Bazaruto Archipelago. Numerous water activity options are on offer, in the estuary or in the ocean. Bilene is popular for scuba diving, snorkeling, sailing, deep-sea fishing, boat transfers to the beach, and sundowner cruises, paddling, para-sailing and water-skiing. The beach on the other side of the lagoon next to the Indian Ocean is clean and quiet. Wonderful! Tranquil white beaches with blue warm still waters. Never crowded; locals can be seen fishing in the mornings/evenings. Boat trip to the lagoon opening is awesome. Bilene Beach is 1.7km from the centre of Bilene , the nearest airport 100.8km (Maputo International Airport).